The image of Newcastle United has taken a little bit of a hammering over the last season, so it’s good to hear that one of our possible transfer targets is keen to join Newcastle. 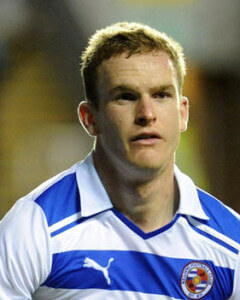 Alex Pearce is at Reading, and the 24 year-old center-back is out of contract at the end of this month, and he is a long term target of Liverpool, and Newcastle have become interested in getting him – if you believe the recent press reports. Alan Pardew has said he would like to sign players with Premier League experience, and in addition we are short of leaders on the pitch, so if Alex is good enough, he would seem to be a decent signing as a free agent. Underrated player, passionate, vocal, gritty and determined. He might not be the attractive, glamour name some people crave, but to not give this player ANY credit is ridiculous. Yes reading went down, but he, along with McCarthy, le fondre and kone were the stand out players in that squad. If we aren’t prepared to even consider players from relegated sides, then we may as well forget about Remy. Oh and people were desperate for Martinez to replace pardew…yet he couldnt keep Wigan up?!? If this happens we’ve officially given up all ambition. If he was 20 then fair enough but he’s 24! If he was any good he’d have left Reading long ago. Smacks of a Perch, will try hard but ultimately not good enough. There was a kone at reading? Torq – Kone and Mcarthy are Wigan not Reading (probably just a typo) but Mcarthy is very young and this was his first real season in the premier league, he’s an obvious talent. This guy isn’t so young, I think he would be too similar to Taylor in that he’s a passionate but clumsy Englishman. We should not be after talk English players for the sake of tall English players. No doubt he could do a job but we need to improve on what we have as back up (I see Taylor as back up quality). It’s also not about the sides they come from being relegated, it’s the quality they offer. Remy has clear and proven quality, to use him as an example of someone not to consider if we’re not considering relegated players is foolish. I got confused with my relegated clubs. I dont think anybody see’s this lad as starter. But adding to our pool of centre halves. An upgrade on willo and more reliable in terms of composure and injuries than Taylor, I’d take him. Will be cheap, already expressed (if report is accurate) interest in this club and improve on willo who will more likely be shipped out. Personally I would like a top CB brought in for colos replacement should he leave. My thought is….we aren’t as amazing and deserve top players as some on here believe! Indian – Yes it is!! Thank God you are here to highlight my wrongs and make me a better person! I agree, a definite upgrade on Willo and I could see him overtaking Taylor should he (inevitably) get injured again. It just smacks of poor ambition though, and scarily the sort of player Pardew would probably see as a starter. I disagree that Mcarthy the Keeper was outstanding – he had a couple of top games which every keeper has at some point. Not to say he’s not solid and dependable though. Sad to c, such an optimistic person like you coming down to my level. Tommy – I would like to think if he is being looked at, it would be a back up to our main targets! Don’t be sad Indian…..!!! I’m just joining your ranks! 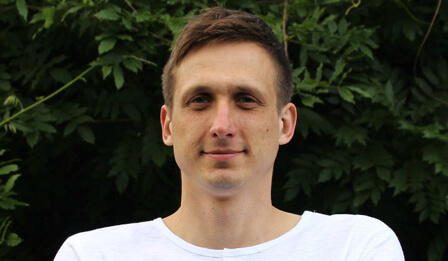 Torq – Like I said, there are clear exceptions to the rule on relegated players. Remy being probably the clearest. So to use him as an example doesn’t help your case. Not that I don’t agree with you, there are a few players I’d take from relegated sides. It’s finding the right ones, Pearce may well be decent but he’s not a standout relegated player. It’s all well and good saying that we can’t attract better players etc but if we start to accept that then mediocrity sets in and we will slowly sink as a club. Maybe not that slowly. Tommy – I’m hoping you sensed the sarcasm in my reference towards Remy?!? I’m not sure you did. It was to make my point that people shouldn’t be ruled out based on final club league position. Torq… it’s been warm and the weather can affect on one’s recall – I’m sure we can forgive you having had a couple of Ricards before dinner – for medicinal purposes of course! From Sakho or Mirin now down to Pearce !!! Underwhelmed isn’t the word. Not even a regular in a relegated team. Those ST tickets are really going to be flying off the shelves!! Pearce will go anywhere – his agent is now desperately hawking him around as he ballsed up his contract talks at Reading. Sad to say, its all about the money with this one. Is this Monty Python Day. This guy is Irish not English and as stated Kone is at Wigan ( someone we could look at). Indian I am as confused as you too.